Pollard Rowe, Ann, Elizabeth P. Benson & Anne-Louise Schaffer. The Junius B. Bird Pre-Columbian Textile Conference. Moreno, Nahuel. La Traición de la OCI Unificada. 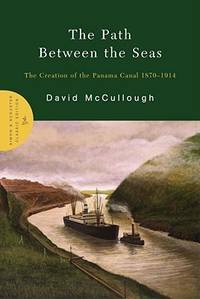 From The Path Between the Seas to A Treasury Of Mexican Folkways, from	Nacla's Latin America and Empire Report to Inside Latin America, we can help you find the latin america books you are looking for. As the world's largest independent marketplace for new, used and rare books, you always get the best in service and value when you buy from Biblio.com, and all of your purchases are backed by our return guarantee. Rigoberta Menchú received the Nobel Peace Prize in 1992 for her efforts to end the oppression of indigenous peoples in Guatemala. Brazilian Adventure is a book by Peter Fleming about his search for the lost Colonel Percy Fawcett in the Brazilian jungle. Fawcett along with his son and another companion had disappeared while searching for the Lost City of Z in 1925. Fleming was working as literary editor for The Times when he answered a small ad asking for volunteers to join an expedition to find out what had happened to Fawcett. The story of Fleming's 1932 expedition is told in Brazilian Adventure. Open Veins of Latin America: Five Centuries of the Pillage of a Continent (in Spanish Las venas abiertas de América Latina) is an essay written by Uruguayan journalist Eduardo Galeano in 1971. This book tells you about a Legend of history. The story of an Argentinian becoming the finance minister of Cuba. Orlando, Florida: Harcourt, Inc.. Near Fine in Near Fine dust jacket. 2006. First US Edition. Hardcover. 9780151011865 . "Weaving together the ongoing saga of the shipwreck's status with a reconstruction of Columbus's expeditions, The Voyage of the Vizcaina combines gripping archaeological adventure with vivid historical narrative, offering a fresh assessment of Columbus's legend and legacy five hundred years after his death." Ships same or next business day. Book has small bumps on both ends of spine and on back top left corner. Dust jacket has minimal edge wear, small bumps on both ends of spine. ; 1.2 x 9 x 6.2 Inches; 328 pages . Berkeley: Institute of International Studies, 1965. Paperback. Unpaginated preliminaries, 187p., numerous tables and graphs throughout the text, softbound in 9x6 inch plain printed wraps. Cover has mild edgewear, pressure marks, and a small repaired tear at the heel of the spine; inside find an old paperclip "bookmark" we chose not to remove, and an ownership stamp. A good, useable copy. Research series no. 7. San Francisco: Global Exchange, 1993. Six-panel folded brochure, 3.75x8.5 inches, dates and descriptions of 9 different seminars, very good on green stock. Mexico City, Mexico: Fondo de Cultura Económica. Near Fine. 1995. Softcover. 9681622901 . Pictorial biography of a leader of the Mexican Revolution, Venustiano Carranza. Text in Spanish. ; Tezontle; 10.61 X 8.27 X 0.42 inches; 180 pages . Buenos Aires: Editorial Losada, 1958. Paperback. 225p., text in Spanish, toning to text-block margins, mild wear otherwise good Argentinian edition paperback in gray wraps. Biblioteca Contemporanea. New York: MacMillan Company. Very Good-. 1949. Second Printing. Hardcover. Ships same or next business day. Spine is skewed and loose, normal edge and shelf wear, small bumps on bottom corners and spine ends, lightly faded on spine, small folds on top corners of pages 29-40 and 331-333, soiling and light tanning on edges of pages, damp stains on tail edge and bottom right corner of pages. No dust jacket. ; B&W Illustrations; 8vo 8" - 9" tall; 408 pages . Columbia: University of Missouri Press. Near Fine in Very Good+ dust jacket. 1977. First Edition. Hardcover. 0826202136 . "In their study of ethnic relations in the Andean area, sociologists van den Berghe and Primov undertake an empirical examination of the nature and causes of social inequality, focusing on the relationship between class and ethnicity as dual bases of social organization." Ships same or next business day. Spine is skewed, minor edge wear, tiny bumps on spine ends, light soiling on head edge; overall, pages are tight, bright, and clean. Dust jacket has minimal edge and shelf wear, tiny tear on bottom right corner of front cover, lightly tanned on spine. ; Large 8vo 9" - 10" tall; 324 pages . Oakland: Artists' Tour Publications, 1984. Pamphlet. 49p., b&w photoillustrations, alkaline coated paperstock; a softbound in 9x6 inch glazed wraps, the back cover of which folds out twice and bears 21 exhibit photographs. Staples have a touch of rust, externally a little edgeworn with an inch-long split at tail of spinefold and a seller's sticker in one corner. A good-only copy. Harvard University Press, 1978. Hardcover. Like New. 1978 hardcover with dust jacket. STILL SEALED IN ORIGINAL PUBLISHER'S SHRINKWRAP! Never opened! Corners show small bumps. Overall, a well-preserved hardcover that remains bright, fresh, & useful. Bolivia: Ediciones Masas, 1985. 33 p., wraps, text in Spanish. Havana: Ministry of Foreign Affairs, Information Dept, 1965. 28p., staplebound pamphlet, very good. On education reforms after the revolution. Mexico City: Biblioteca Mexicana de la Fundación Miguel Alemán, A. C., 1989. Paperback. xiii, 247p., xxii, 20p. index, text in Spanish, rubricated title page, very good first printing facsimile edition of the original 1840 text, tape-repair to front cover otherwise a very good paperback in tan wraps. Gainesville, Florida, U.S.A.: University Press of Florida, 1997. Book. Very Good. Cloth. First. 8vo - over 7¾" - 9¾" tall. xix, 162pp., index, biblio., notes, ill., map. "An engaging overview of the depiction of animals in the pre-Columbian art of Latin America. Drawing on an extensive set of images, many of them previously unpublished, Benson examines the practical, ritualistic, and mythic importance of animals in pre-Columbian life as well as the meanings that animals still have for the modern descendants of those indigenous peoples.". London: G. P. Putnam's Sons/The Knickerbocker Press. Very Good. 1898. Hardcover. Very Good red covers with gilt spine title. Top & bottom of spine worn. Former owners name stamp and signature on front endpaper. ; 8vo 8" - 9" tall; 759 pages . New York: Cambridge University Press. Very Good+. 1988. First Edition; First Printing. Softcover. 0521275555 . Black and white illustrations and photographs. This book "offers an authoritative and up-to-date survey of the cultural evolution of Peru from the apprearance of the first inhabitants around 10,000 BC to the arrival of the Spanish in 1534." Ships same or next business day. Book is bent near the spine, minimal shelf and edge wear, interior is free of markings. ; 10.04 X 6.87 X 0.79 inches; 364 pages . Woodstock, New York: Overlook. Very Good with no dust jacket. 1997. First Edition. Hardcover. 0879517654 . At once hilarious, informative and outrageous, this is a marvelously readable homage to the cigar. Infante unleashes an arsenal of delicious details about those who smoke cigars including Groucho Marx, Sigmund Freud, Mark Twain, Oscar Wilde, Marilyn Monroe and Humphrey Bogart. ; 9.06 X 5.91 X 1.18 inches; 336 pages . Buenos Aires: Casa Pardo, 1971. First edition. Paper wrappers. A very good copy, wrappers soiled.. 613 pp. 6023 works listed. Dublin, IN: Prinit Press. Very Good+ in Near Fine dust jacket. 1982. First Edition; First Printing. Hardcover. 0932970346 . SIGNED by author on full title page. "This book tries to do two things. In alternating chapters it is a biography of Felipe Angeles and it is a history of the Mexican revolution of 1910 to 1920. Angeles was a mathematician, artillerist, and strategist." Ships same or next business day. Spine is skewed, small bumps on spine ends, very faint soiling to edges of pages; otherwise, free from major defect. Dust jacket protected in archival cover. DJ has minimal edge and shelf wear, small creases on spine ends. ; Maps; 8vo 8" - 9" tall; 213 pages; Signed by Author . El Paso, Texas: McMath Company, Inc.. Very Good. 1949. Third Printing. Softcover. "The true life story of Mexico's greatest 'Bad Man.' Facts never before revealed. Many pictures never before published." Ships same or next business day. Spine is skewed and slightly wrinkled, normal edge wear, creases on corners of covers, moderate shelf wear on back cover, small bumps on spine ends, light tanning to edges of pages; text is clean. ; B&W Photographs; 8vo 8" - 9" tall; 100 pages . Boulder: Westview Press. Near Fine in Near Fine dust jacket. 1999. First Edition. Hardcover. 0813335744 . "This book is about a living legend, a young Guatemalan orphaned by government death squads who said that her odyssey from a Mayan Indian village to revolutionary exile was 'the story of all poor Guatemalans.' " Ships same or next business day. Book has minor edge wear, small bump on spine tail; otherwise, in fine condition. Dust jacket has minimal edge and shelf wear. ; Large 8vo 9" - 10" tall; 336 pages . Santiago, Chile: Corporacion de Cobre, 1975. Book. Very Good. Hardcover. First. 4to - over 9¾" - 12" tall. xi, 520pp., ill., maps, figures. Inscription on title page. "Preparado por un grupo de especialistas bajo la direccion general de Andrés Zausquevich Vicepresidente Ejecutivo y Alexandro Sutulov Director de Investigaciones y Desarollo de la Corporacion del Cobre.". [Rio]: Caixa economica federal Rio Grande do Sul, 1963. 191p., b&w photos, folded graphs, boards in dj, slightly edgeworn. Presentation inscription from author, signed and dated. Author is an architect; photos and panoramas are of shacks, with plats & elevations of proposed housing. Cuba: Vendedor de Agua. Water Vender in the Country. o. O., Edidcion Jordi [ca. 1920].. Farb. 8, 7 x 13, 7 cm. In gutem Zustand. San Francisco: NG Slater, [198-]. 1.5 inch pin, red text and image of fighter with raised fist on white background.